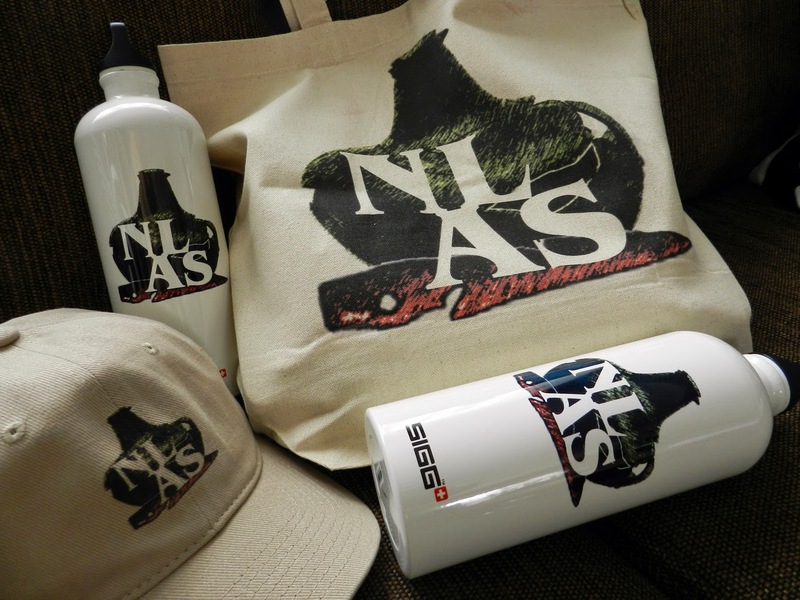 Since the current Board is also the first formal Board for the NLAS and there is an AGM coming up in November where many of these people will be replaced, we thought it would be interesting to get each board member to answer a series of questions about themselves and their role with the NLAS. Over the next few weeks we will post each board members responses to those questions. In no particular order, up first is Dr. John Erwin. 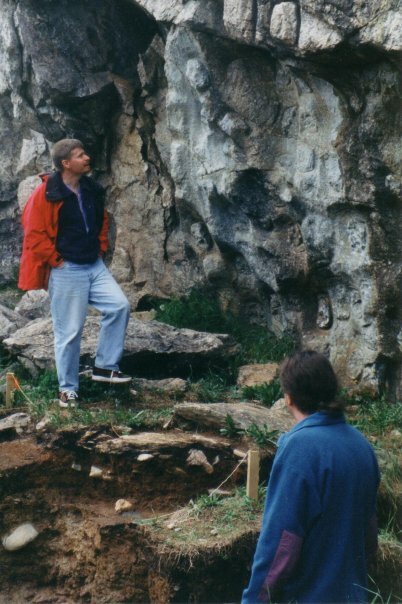 I became interested in archaeology after taking a field school at Dundurn Castle in 1992 while I was an undergraduate student at McMaster University in Hamilton Ontario. What things do you do as the chair/member of the ________ Committee? As the Chair of the Planning Committee I have helped develop the NLAS activity Plan and the Society’s Annual Report. I have continued to work closely with the executive of the society to monitor our activities to help ensure that the goals and objectives of the society are met. My favourite site in the province is Fleur de Lys 1 (the Dorset soapstone Quarry in Fleur de Lys). This is a large and well-preserved prehistoric soapstone quarry with over 650 visible removal scars preserved in the main exposed soapstone out crop. These carvings are testimony to the quarry’s 500 year use, which began approximately 1600 years ago and which provided the raw materials for the manufacture of cooking pots and oil lamps. John & crew chief Brent look at the Fleur de Lys quarry wall. A 1600 year old Dorset wooden ladle (actually found by my crew chief Brent Murphy) approximately 1.5m below ground the surface adjacent the cliff face of the Fleur de Lys soapstone quarry in 1998. 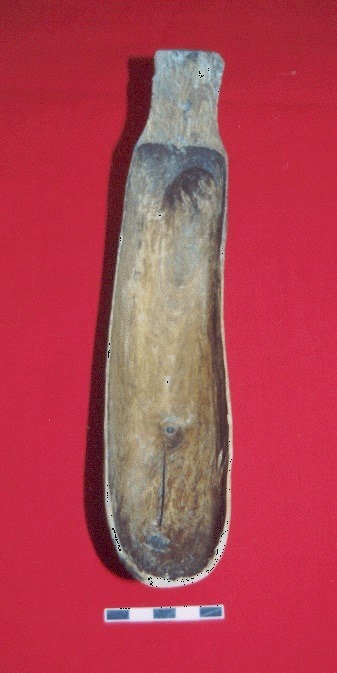 1600 year old Dorset Palaeoeskimo wooden ladle.